2018 represents a year of celebration for the Faculty of Medicine. This year, Dalhousie’s Medical School’s celebrates 150 years alongside Dalhousie’s bicentennial. This time of year brings further celebrations that recognize the efforts and accomplishments of our graduating Class of 2018. That’s right, it’s convocation time. Convocation is a special time of year at Dalhousie — the culmination of so many journeys and experiences, a celebration of both time spent on campus and exciting new chapters set to begin. This Spring, 110 of Dalhousie’s medical students will walk across the stage of the Rebecca Cohn theatre on Monday to accept their MDs. Here are the stories of just a few of them. Henry Annan clearly remembers when he first decided he wanted to be a doctor. Henry, who one of six African Nova Scotian medical students to graduate from Dalhousie’s MD program this month, believes diversity and representation in medicine is important. Representation and advocacy are close to Henry’s heart. They’re reasons why he became involved in the Canadian Federation of Medical Students (CFMS) which represents Canadian medical students on the public stage at the provincial, federal and international levels. 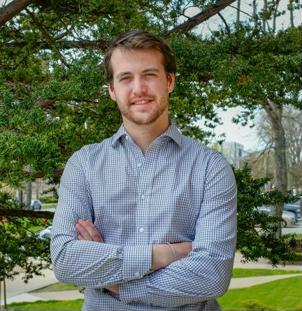 He started volunteering with the CFMS during his first year of medical school, as Dalhousie’s global health representative for the organization. The work Henry did with the CFMS included advocating for refugee health, universal healthcare and solutions to the national opioid crisis. Henry believes that physicians can play unique roles in society outside of a hospital or clinic as advocates for better health and health systems and as policy experts. As “the front-line of health care delivery, we [physicians] are critical to informing sound health policy,” he says. Those beliefs have piqued his interested in paediatrics, where he believes he can make a difference early on in a child’s life. 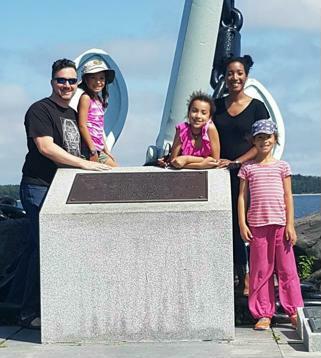 Born in Windsor, Ontario, Devin and Taylor moved to New Brunswick 15 years ago with their family and were happy to attend the Dalhousie Medicine New Brunswick (DMNB) campus in Saint John to earn their medical degrees. They agree that their years spent at DMNB have each been unique undergraduate medical experiences. “Having fewer learners at hospitals throughout New Brunswick allowed us to work closely with staff members and exercise a significant amount of autonomy during our clinical rotations,” said Taylor. The small class sizes at DMNB have allowed classmates to become close friends over the last four years. Whether they gathered to celebrate birthdays or ate meals together while on call at the hospital, they agree that they have been lucky to be members of such a phenomenal class. However, the twins admit there was some confusion at first. “Being twins in the same medical school class over the last four years has been a joy for us and extremely confusing for everyone else!” exclaims Devin. “While the small class size was hugely beneficial for us as students, it did nothing to ease the confusion of the two of us working in the same hospital,” added Taylor. Taylor was also matched to Dalhousie’s residency program, where she is focusing on Family Medicine. “Having the opportunity to interact with patients and cultivate meaningful relationships is something that I’ve valued immensely during my medical training,” she said. Taylor is excited to be able to mould her practice to address the needs of the community she lives in. 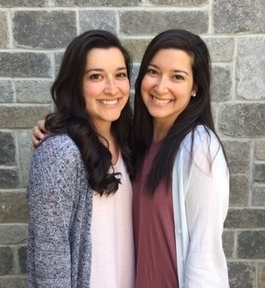 The twin doctors are excited to be continuing their education at Dalhousie, and both look forward to a future of practicing medicine in the Maritimes, a place they both call home. Graduating with a Master’s degree is no small feat, but as soon as you relax into the warmth of handing in your thesis, you’re faced with the biggest question of all: What’s next? That question loomed large for Dal graduate student Matthew Jalink. 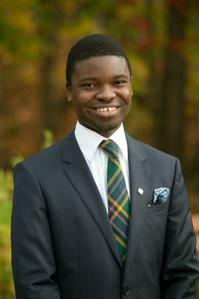 Until last month, that is, when he found out he had been selected to receive one of ten International Youth Fellowships awarded in Canada this year by the Aga Khan Foundation. The eight-month fellowship matches successful applicants with an NGO or community partner outside Canada. “I was euphoric. That might sound a little dramatic but it was pretty exciting because I wasn’t sure of my next step after defending my thesis and graduating,” says Jalink. His thesis—supervised by Dr. Joanne Langley, an infectious disease specialist in the Departments of Pediatrics and Community Health & Epidemiology—examined whether RSV infections in infants lead to asthma in later life. Like many graduate students, Jalink changed courses during his studies, but the core study of infectious diseases remained a constant interest. The Aga Khan Foundation Canada is a close fit with Jalink’s worldview. The international NGO was founded in 1967 with the mission of partnering with nations in the developed world in order to promote strong, healthy and inclusive communities in developing nations across Africa and Asia. The Canadian branch of the foundation has worked with more than 500 young Canadians through the International Youth Fellowship program since it was launched in 1989. Jalink was encouraged to apply for the Aga Khan fellowship by Shawna O’Hearn, director of Dalhousie’s Global Health Office and an alumnus of the fellowship herself, who believes it represents a major opportunity for which Jalink is ready. Once he officially graduates, Jalink will head to Ottawa for three weeks of training to prepare him for his fellowship. He has been matched to the Aga Khan Hospital in Dar es Salaam, the largest city in Tanzania. He will spend seven months there as a project officer developing a plan to bring down cancer mortality rates through early detection. Cancer rates in Africa are one third what they are in North America, but mortality is the same. Part of the reason for this is that 80 per cent of cancers on the continent are not diagnosed until they have reached an advanced stage. In Tanzania, there are only two cancer centres that serve a population of 40 million people. Most students on international placements face the challenge of adapting to a new place and a new culture on top of mastering their new role. But Jalink has already worked in Tanzania. Twice. First as a research and health care assistant in a maternal health clinic in Moshi, and most recently in 2016 as the recipient of the Queen Elizabeth II Diamond Jubilee Scholarship. The international elective sponsored by that scholarship put him in Dar es Salaam for four months, where he worked with one of Dalhousie’s Global Health Office partner organizations, Pastoral Activities and Services for people with AIDS Dar es Salaam Archdiocese (PASADA). While working towards a career in family medicine, Johneen’s personal experience as a parent and her untraditional path to medicine serves as an inspiration to achieve her goals. She came to Dalhousie Medical School with two degrees (biology and architecture) and a decade-long career in design and communication. After having children and talking to doctors and nurses in the community dance class she teaches, she began to wonder if a career in the health professions might be more fulfilling. She decided to volunteer one morning a week at the Halifax Sexual Health Centre to see if medicine was right for her. “Witnessing the important care and support the centre provided to women and men from across the province sold me on this path,” she says. After graduating this spring, Johneen will pursue residency training in family medicine at the University of Ottawa. Her goal is to practice family medicine in a community setting. She is particularly interested in learning more about health issues and social determinants of health specific to women. While at Dalhousie Medical School, Johneen participated in the Research in Medicine program, where she explored the needs of women who breastfeed in the workplace — particularly women who breastfeed during their studies at Dalhousie. She was the catalyst in bringing together a group of at Dalhousie that included expertise in lactation, Human Rights & Equity Services, Human Resources and student accommodations. The group developed guidelines to help the university support faculty, staff and students to breastfeed on campus, including recommendations for accommodations and infrastructure to make breastfeeding easier and more comfortable. Johneen hopes that as a family physician, she will play a role in building more supportive communities for the better health of all. While on maternity leave between second and third year of medical school, Allison Spurr realized the importance of empathy in her studies and future medical practice. She made this realization through her volunteer time with Roots of Empathy, which develops empathy and emotional literacy in children from kindergarten to grade eight by bringing babies and their mothers into the classroom. Allison was so inspired by the children she met that she wanted to find a way to keep volunteering with them. That is when Allison became involved in Kids’ Run Club. Run by Doctors Nova Scotia, the program is a no-cost province-wide initiative to address inactivity in children and youth. Allison recruited 15 medical student volunteers to run programs at three low-income schools. The non-competitive running program is designed to be fun and educational, teaching participants the importance of healthy living and physical activity. “Because the program is free and school-based, we get to provide kids who might not otherwise have an opportunity to participate in organized sports and activities with a chance to be part of a club, improve their fitness and confidence in being active,” explains Kids’ Run Club program coordinator, Kerry Copeland. But the benefits didn’t stop there. After convocation, Allison is moving to Ottawa with her family, where she was matched with a dermatology residency. 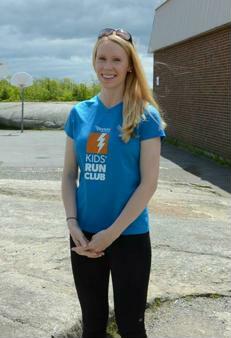 Thanks to her efforts, Dalhousie medical students will continue to work with Kids’ Run Club. There are currently 15 medical students who are trained and supporting six different Kids’ Run Clubs around Halifax and will continue to go the distance.